A superb & much improved event this year despite the cold winds & drizzle. 'Roary' (the Lion dressed as a Lion) was quite worn out shaking hands, or should that be paws. We were able to distribute free of charge, the ever popular DATALINK containers. Donations totaling circa �. were made. Thank you to all who contributed. Thank you to all who came to see us; we hope to see you at our future events. 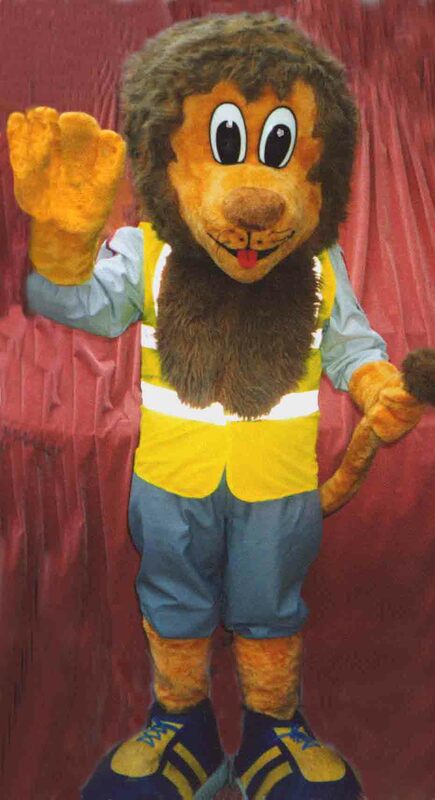 'Roary' the Lion appeared by kind permission of PSA Peugeot Citro雗 - External Relations Department. Photo by Roary Lion's mother.